January 6, 2018　THE ASAHI SHIMBUN　―　Senichi Hoshino, the fiery manager who brought a baseball title to the Tohoku region when it was still reeling from the Great East Japan Earthquake, died Jan. 4. He was 70. The news came as a shock to even those close to Hoshino as he seemed to be in good spirits during a public appearance as late as December to celebrate his selection last year to the Japanese Baseball Hall of Fame. Hoshino was manager of the Rakuten Eagles in 2013 when he led the team to its first Japan Series title. A 51-year-old Sendai resident who was in the left field stands the night the Eagles clinched the pennant said he was "deeply moved when Hoshino during the interview after the win said that he wanted to encourage the disaster-striken Tohoku region." The ace pitcher on that 2013 team was Masahiro Tanaka, who from the following season pitched for the New York Yankees. "This happened so suddenly that I still cannot believe it," Tanaka said Jan. 6. "One of the most important memories in my baseball life is winning the Japan Series and making Hoshino the winning manager. I have nothing but gratitude toward him because he also supported my desire to play in the major leagues." It was fitting that the Rakuten Eagles won the Japan Series over the Yomiuri Giants because Hoshino always dreamed of toppling the team long considered to be Japan's most popular franchise. Shigeo Nagashima, the former star third baseman and manager of the Giants, fondly recalled how Hoshino pitched with a ferocious fighting spirit whenever he faced the Giants. "I also held a burning desire to hit when I faced him because of that spirit of his," Nagashima said. During the 14 years Hoshino played with the Nagoya-based Chunichi Dragons, he racked up an impressive record of 146 wins, 121 losses and 34 saves. But 35 of those wins came against the Giants during the latter part of a period when the team captured nine straight Japan Series titles. 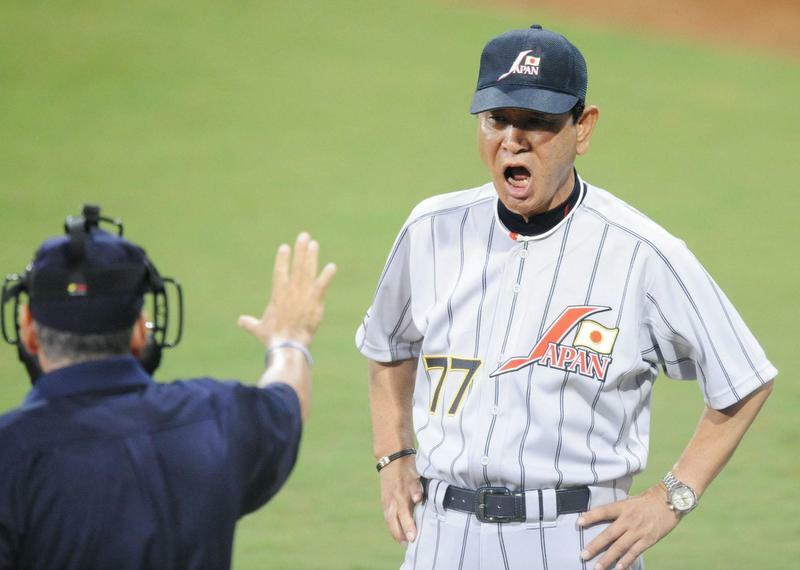 After retiring as an active player, Hoshino managed both the Dragons and the Hanshin Tigers and won Central League pennants with both teams. He is one of only three Japanese managers to lead three different teams to league championships. Hoshino has been vice chairman of the Rakuten team since 2015. Team officials said Hoshino was diagnosed with pancreatic cancer in July 2016, but he continued to work for the team. His condition worsened from late December. Hiroshi Mikitani, the Rakuten team owner and CEO of the online retailing giant Rakuten Inc., said he consulted with Hoshino from even before establishing the franchise. "I am full of appreciation for his efforts in taking the team to the top in 2013 and for setting the foundation that has made it a perennial winner," Mikitani said.